Oval cut, 8” x 6”, mounted to larger mount, with period manuscript, “Taken on Table Rock Niagara Falls Aug. 1866”. 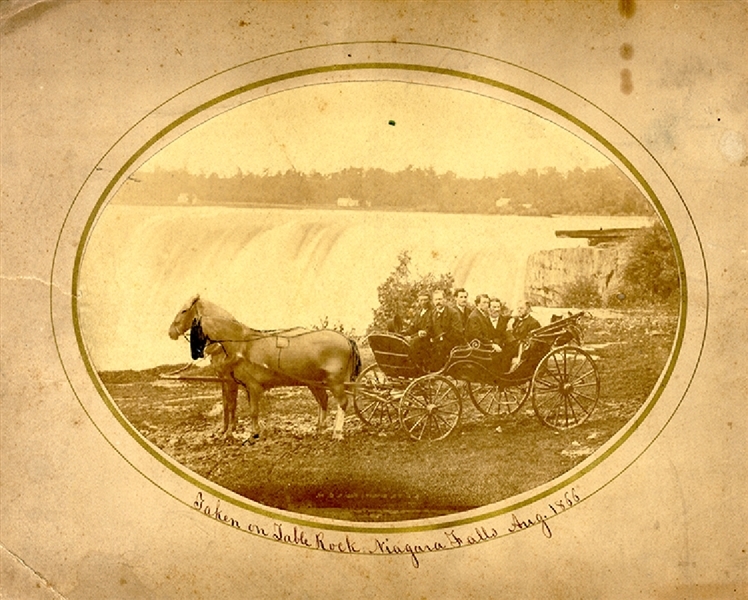 The outdoor image shows six well dressed gentlemen in a horse drawn carriage with the falls in the background. Unfortunately, one of the hoeses has some ink coloring on the face, else VG.